The finance minister said prudent financial management was still at the centre of his budget strategy for the 2014/15 financial year. He pointed to strict controls on spending as well as enhanced debt collection and proactive debt management as the key issues. According to the budget documents, Archer’s unaudited figures appear to be adding up so far and the surplus is being used to pay down debt, cover capital expenditures and boost government’s cash reserves as require by law. Archer revealed that the operating surplus at the end of next month is now expected to be $108.1million rather than the forecast $100.2million. The surplus was due to more revenue than anticipated and a little less public spending than expected. Government was hoping to earn just over $845million from core revenues and from its statutory authorities and government companies but it is expected to end up taking in over $850million. Meanwhile, overall government and SAGC spending was squeezed down from an expected $549.4million to just over $547million. Government’s debt stands at just over $548.8million. The minister explained that the revised revenue forecast was down to a combination of positive economic growth and new revenue measures approved during the 2012/13 financial year. The most significant areas of better than expected performance was on import duty which is now forecast to be some $5.1 million above original budget projections and mutual fund administrator licences which are forecast to be $4.2 million above original budget projections. Meanwhile, the revised forecast for operating expenses was down to a series of cost reduction measures including a $3.4million savings in personnel costs because of restrained recruitment and natural attrition. There was also a $0.8 million decrease in financing expenses, due to lower interest expenses resulting from renegotiated interest rates on a portion of the debt portfolio and because government stayed out of its overdraft facility, the minister said. However, he warned the savings were partially offset by a bigger than expected bill for overseas medical care for those who have either exceeded their health insurance cover or who don’t have insurance, which is forecast to be $ $1.3 million more. Turning to the forth coming year Archer is aiming higher for 2014/15 and expects core government and the public authorities to bring in a combined revenue of a record breaking $872.6million almost $20million more than this year. However, as much as government is trying to cut its operating costs Archer is still predicting $744.6million will be needed to pay for operating cost and financing expenses which is more than this year’s costs of $743.9million because of the increase in staff and as a result of the statutory authorities. Government will also be plugging the Turtle Farm’s operating losses and debt to the tune of $9.5million as well as $4.8million to Cayman Airways to cover its losses. The National Housing development trust will also receive $2.8million for its debts and another $1.5million will go to the development banks debts. Archer announced a new sinking fund which government plans to pay in to over the next four years and it will be starting this coming financial year with a contribution of $4.3million. He said government will also bring debt down by a further $25million and not only will there be no new borrowing the CIG doesn’t require an overdraft facility for the 2014/15 financial year. He noted however, just weeks away from the start of the hurricane season, that the UK had agreed to that facility should Cayman face any natural disasters this year. Archer also revealed that the delay in the budget was not down to government waiting on the UK as he said his final spending plan was not sent to the FCO until last Monday and the minister gave the go ahead just two days later. Describing his budget as once again fiscally prudent he said it was not just about complying with the Framework for Fiscal Responsibility but for future of the country. He said the budget provided a healthy surplus, to fund capital expenditures, the cash reserves and reduce debt. See the full budget in detail in documents posted below. (CNS): A French national visiting a family resident in the Cayman Islands who was arrested last week on suspicion of importing drugs has now been charged and was due to appear in Summary Court Monday. The man, who flew into Cayman from the United States, was arrested by customs officers at the airport for possession and importation of cannabis resin, also known as hashish, but officials did not reveal the quantity of the drug. The suspected drugs were found in his luggage during a search and on preliminary assessment he was arrested and placed on bail until the drug was analyzed. He was formally charged after the tests confirmed it was hashish. Anyonewith Information relating to this type of crime to contact HM Customs tip-line on 1-800-534-8477 or email at tell.us@customs.gov.ky. With government forecasting to exceed its more than $100 million surplus and personnel costs for the 2013/14 fiscal year end or less than expected government’s cash position is stronger than expected creating some room for the bonus. “This amount, which will be payable along with the civil servant salaries at the end of June, is in recognition of the fact that the consumer price index has steadily risen and that with the help of its staff, this year the Government has the means to provide compensation in the form of this one off payment,” McLaughlin said. Thanking public sector workers for not only “meeting but exceeding targets” he implored them to keep up the good work. He said that government still wants to re-introduce the coat of living allowance and believes it should be more than 3.2% but he said government is still challenged by personnel costs in government and in the 2014/15 budget where government will be filling some essential positions the wage bill had reached its ceiling. McLaughlin recently said personal costs “blew the budget” and in his speech Monday he said salaries would continue to present struggle for government and he said leaving post vacant was just not sustainable. “We have to contain personnel costs in a sustainable way he said as he pointed to phase five of the rationalization process where the public sector will see, mergers, consolidation and sell offs. But McLaughlin indicated it would be local small businesses that would benefit from government services contracted out to the private sector or provide civil servants now working for government to set up their own businesses to provide those services from the private sector instead. “Through this exercise we hope to streamline government even more and devise a road map for implementation as well as to ensure Caymanians have an opportunity to become entrepreneurs,” he added. McLaughlin said the EY report is due next month and the implementation of the recommendations will begin this budget year and some mergers would be taking place even before the report was completed. (CNS): Police are looking for witnesses after two separate and very violent incidents in George Town and along the West Bay Road in the early hours of Saturday morning. In the first fight on Shedden Road, believed to involved knives at least one man was stabbed and another injured in the face while in the second incident near the Dream nightclub a man received serious but non-life threatening head wounds from a machete. Detective Chief Inspector Kay of the George Town CID urged people to come forward. “This weekend, we have once again seen two very violent incidents involving young men using knives and machetes to inflict very serious injuries to their victims,” he said. “These incidents of violence will be thoroughly investigated by the RCIPS and the offenders will be sought out and prosecuted to the fullest extent of the law. While we continuously strive to investigate these incidents, I would also like toencourage anyone who witnessed them or has any information about these horrific attacks to come forward in confidence and assist us with our inquiries,” the senior cop added. The first incident occurred at around 2:31 Saturday morning around an after-hours session on Shedden Road in George Town. Police received a reported that a fight was in progress between a group of males at that location. One of the males received a laceration to his face while another male received a wound to the face along with a swollen eye. Both were treated for their injuries and released from the George Town Hospital. The second incident happened on the West Bay Road close to Dream Night Club at about 3.07am when the 911 communications centre received a report that two men armed with machetes were chasing another man along the road. Police said the victim received a number of very serious but none life threatening wounds to his head and neck. Armed police officers were dispatched to the scene, but upon their arrival all parties had departed the area. The injured man has since been treated for his injuries and released from the George Town Hospital. Anyone with any information on either of these two incidents please contact Detective Sergeant Stewart George Town CID at 949-4222, or to remain anonymous or Crime stoppers 800-8477(TIPS). (CNS): The premier has announced a reduction of 25 cents per gallon on diesel duty imported by CUC from 1 January next year, which will cut the cost of bills for both residential and business customers. In his presentation ahead of the finance minister's budget Monday in the Legisaltive Assembly, he revealed the fuel duty cut as well as reduction in general duty of 2% on all goods for licensed retail traders, which he also said would help merchants cut their prices and encourage people to buy local. 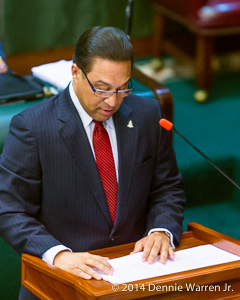 As he began delivering the full budget, Marco Archer also announced that government was expecting to end this financial year with a $108 million surplus, $7 milllion more than expected. Check back for more reports from budget throughout the day. (CNS): Officials from the Department of Environment (DoE) are urging boaters to be more vigilant regarding turtles following the death of a 300lb adult male last week after it appeared to have been hit by a boat. The green turtle was found dead in a mangrove area of North Sound on Wednesday by a group of kayakers, who spotted the turtle in a remote area and notified the DoE. Research staff recovered the turtle and found a deep fracture in its upper shell, characteristic of a propeller wound. With the turtle breeding season having started, the wild marine creatures are now even more vulnerable. DoE staff have collected samples from the turtle and transported it to the St. Matthew’s University School of Veterinary Medicine, where veterinarians, assisted by students, will perform a full internal examination (necropsy) and report the results to DoE. “This partnership with DoE is an excellent educational opportunity for our students as well as providing information which benefits turtle conservation,” said Veterinary School Associate Professor of Clinical Sciences Samantha Shields. Members of the public finding dead or injured turtles are asked to call the Department of Environment's Sea Turtle Hotline at 938-NEST (938-6378). (CNS): The majority of homeowners at the original affordable housing site, Apple Blossom in West Bay, will lose their homes because they are either behind on their mortgages or they will not be able to get new larger loans from the bank. Owners and tenants learned very little about their future at a meeting on the site last week, called by the National Housing and Development Trust Board to tell them that the home plots will be re-parcelled, their houses pulled down and new ones constructed. The board chair said there is no new housing policy in place and he did not know what would happen to owners who were not able to pay arrears or get a new loan. However, he said that government would come up with an alternative place for them to live. Feelings ran high at the meeting, as those facing the loss of their homes were given little comfort by NHDT chair Tony Powell, who was not able to tell the tenants very much other than government would be selling the new homes, once they were built, for between $97,000 and $120,000, even though they would be worth considerably more. Powell said he was letting tenants know so they could begin to make arrangements over the next four or five months before construction starts and suggested they asked family members to help with the money to pay their arrears. He said owners who were up to date with their NHDT mortgages would be able to transfer that equity to a new mortgage with the bank. The NHDT was negotiating for lower interest rates and fees as the Trust was no longer going to offer home loans. However, speaking to the owners on the site, most of whom are elderly, sick or indigent, he said they needed to come up with as much as $12,000 for a deposit and then the administrative costs and fees — all way beyond the reach of virtually all the families living on the site at present. He said the Department of Children and Family Services would be assessing the circumstances of all of the 25 or so families still resident to see what their needs were, but in the absence of both the housing minister and the education minister, Powell, the only government representative in West Bay, was unable to say what the future holds for most of the tenants and where they would be living once the Trust begins pulling down the houses. Nevertheless, Powell could not be specific about what that meant, raising concerns from the residents on the scheme. The people at the meeting were clearly troubled and dissatisfied with the situation they were presented with as there seemed to be little option, given the circumstances of most of the owners who are delinquent on mortgage payments and therefore will lose their homes. Most expressed their disappointment that the ministers were not there to explain where they would go and what would happen to the money many of them had paid on their mortgage in years past before they fell behind due to a change in their circumstances. 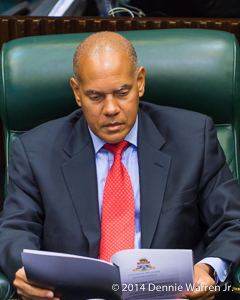 Powell was unable to state why they had not come to the meeting but said he believed that Kurt Tibbetts, the housing minister, was called to another appointment. Meanwhile, CNS has since learned that Tara Rivers, the education and employment minister, was unable to attend as she was at a conference in the Bahamas. 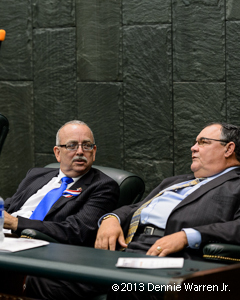 The only legislator present was Bernie Bush, a bankbench member ofthe opposition and the fourth elected member for the district. Homeowners revealed a catalogue of issues impacting them, indicating that it may be almost impossible for any of them to get one of the new houses. Some had faced the death of a spouse or breadwinners, others the loss of jobs, some were faced with serious illness with no insurance cover, and in some cases the owners are simply too old for banks to give them new mortgages. The homes at the site are now in a bad way and Powell said the government had no choice but to tear the properties down and rebuild as the houses had reached such a poor state of repair that even a strong wind could blow them down. Powell said the DCFS would be undertaking an assessment as he was aware most owners were now behind with mortgages and they needed to see what the problems were. 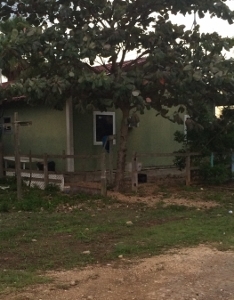 However, one owner at site clearly stated the main issue: “The problem is we are poor,” he said. Several people explained their circumstances at the meeting, making it perfectly clear that they were not in any position to get a mortgage from the bank, and with no options on the table, they were resigning themselves to be homeless. Shawn Ebanks, who is leading the new local activist group Justice for Cayman, urged the NHDT to have some form of phased transition, as had happened in George Town, and pressed the board to understand the circumstances people were in. As the meeting broke up, one owner who fell behind on payments when she became sick and her husband lost his job at the same time told CNS that they she would rather see the house razed to the ground with her in it than be put out in the street. “I think this is really unfair,” she said. After the meeting the chair issued a press statement about the Trust's plans, stating that no tenants are being displaced. "However, the houses they currently occupy have been condemned. In fairness to the tenants, this issue needs to be resolved ASAP, " Powell said. "I wish to stress that the government will ensure that no one is left homeless through this process." He said the Trust had been mandated to provide an assessment of the site and each family’s position. "The Needs Assessment Unit of the Department of Children and Family Services will conduct personal assessments in coming weeks, following which a clearer outline of each family’s position will be outlined in the social reports. Following this, the Trust will determine the financial status of each tenant. Once these steps are taken, we will then determine what levels of assistance are required," the chair added. Over the next few months the residents of Apple Blossom will be required to participate in the assessments by the Needs Assessment Unit of the Department of Children & Family at scheduled appointments and complete the necessary paperwork and forms. (CNS): A report from a parliamentary committee to be laid in the Legislative Assembly during this week’s meeting reveals that government back-bencher Roy McTaggart proposed a committee motion which he ultimately voted against when legislators last met. The U-turn by the George Town C4C member, who serves as a councillor in the ministries of finance and financial services, is shown in the minutes of meetings of the Oversight Committee for the Office of the Complaints Commissioner (OCC), chaired by Ezzard Miller. The document shows McTaggart had proposed and agreed that the committee chair table a report by the OCC on whistleblowing and move a motion in the LA that it be accepted as government policy. According to the minutes from 1 April, seen by CNS, which are contained in the committee’s annual report, the members had discussed a report by Complaints Commissioner Nicola Williams on whistleblowing. During the meeting McTaggart moved a committee motion, which was seconded by opposition member Bernie Bush. The motion directed the chair to table William’s report and draft a motion for debate in the LA, as the committee members all agreed the report should be debated ahead of government adopting the recommendations in the report as policy. However, some nine days later when Miller tabled the report and moved that agreed motion, not only did the government benches shy from debating the motion but McTaggart also voted ‘no’ to the adoption of the report’s recommendation, despite his position just a week earlier. The motion and McTaggart’s U-turn caused a political stir, as the government appeared to be taken by surprise by the motion tabled by Miller. But the chair stated at the time that the motion proposed by McTaggart had been accepted by the committee members at the 1 April meeting, with the exception of PPM back-bench committee member Al Suckoo, who was not present. The minutes for the following committee meeting on 15 April reveal that the committee was concerned that despite their agreement McTaggart had voted ‘no’ and that only the deputy governor and the premier had said anything on Miller’s motion. The commissioner was also very disappointed that the government had chosen not to debate the motion about her recommendations, given the significant public interest. She said such a debate and show of support would have “given comfort to whistleblowers". Williams also revealed that despite her work she had not been consulted about the proposed legislation or discussion document which the Law Reform Commission recently published for public input. However, but her office had offered to assist and that offered remained.